John Oliver Helps Rally 45,000 Net Neutrality Comments To FCC : All Tech Considered The comedian used 13 minutes of his Sunday program to convince viewers to reach out to the Federal Communications Commission about open Internet rules. They responded and crashed the FCC servers. Things are running smoothly now, but the Federal Communications Commission's public commenting system was so waylaid by people writing in on Monday that the agency had to send out a few tweets saying "technical difficulties" due to heavy traffic affected its servers. Blame former Daily Show fake-newscaster and comedian John Oliver, who now helms his own show on HBO, Last Week Tonight. On Sunday night, he went on a 13-minute rant about net neutrality, ending with a plea to Internet commenters of the troll variety to "for once in your lives, focus your indiscriminate rage in a useful direction. Seize your moment, my lovely trolls!" 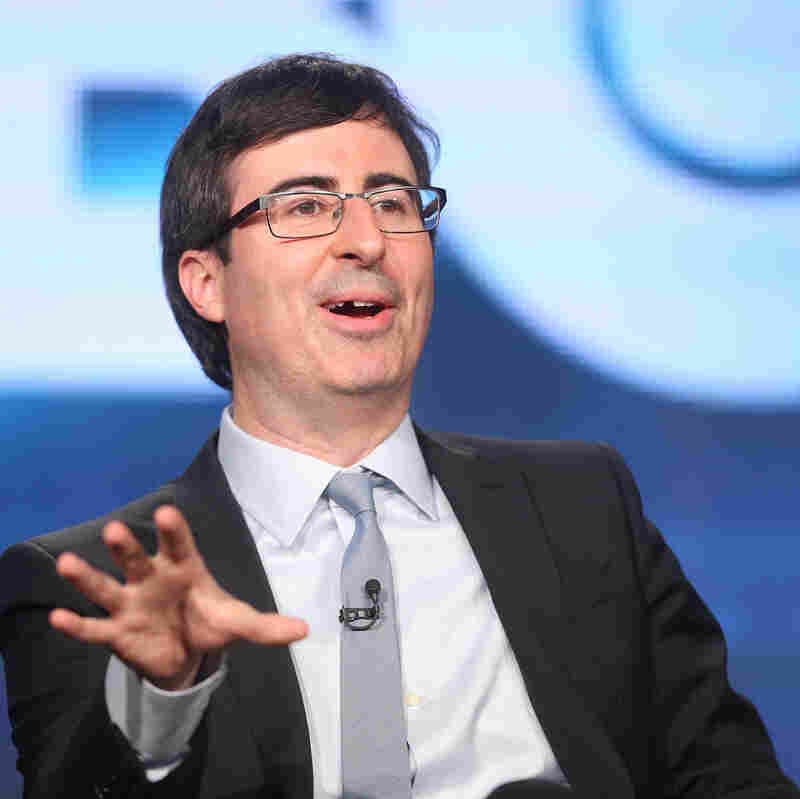 Comedian John Oliver, host of HBO's Last Week Tonight. It appears they have. The FCC has received more than 45,000 comments on the net neutrality proposals since May 15. Those just account for the comments filed to the official electronic commenting system. Separately, the FCC says it's received 300,000 emails in a special inbox it set up in late April for the public to weigh in on its open Internet proposal. For context, the next highest number of formal comments on an FCC measure is just under 2,000. How did we get here? Well, the FCC opened up its initial open commenting period on how it should enforce net neutrality, or the principle that data on the Internet should be served on a level playing field, without prejudice for certain companies who can pay to get content to you faster. "What's being proposed is so egregious that activists and corporations have been forced onto the same side. And you might wonder, if everyone is against this, how is it even possibly happening? ... The guy who used to run with the cable industry's lobbying arm is now tasked with the agency tasked with regulating it. That is the equivalent of needing a babysitter and hiring a dingo." The current commenting period runs through June 27.